After you go to sleep and wake up is phrase we use to describe “tomorrow” in our house. Once Piper learned to talk, she spoke mostly in questions. Her inquisitive mind was constantly searching to understand. She was always asking what we meant by tomorrow, and when exactly tomorrow would be here. So we resorted to using something more descriptive. Also, Pip generally likes to take the long route when it comes to words. Why say just one, when you can use eight? I’ve been thinking a lot about the routine of time and the dependability of days following nights following days, and so on. We know with a kind of certainty that Earth, and most of the lifeforms it harbors, will experience tomorrow. But for us, every day of the last year has been an exercise in uncertainty. We live on an island of hope, surrounded by miles of uncertainty, teeming with unspeakable outcomes. We like to tell children and new graduates “your whole life is ahead of you,” but the minute you enter the world of DIPG, that statement becomes untrue. Instead, every day is one less on your life’s journey. It may sound morbid, but I have come to think it’s a more honest way to view the world. It demands that today matters. What happens today gets filed in the record of your life, it counts, and it should be a day you are proud of. Or at the very least a day you learned from. Procrastination or the idea of tomorrow as a re-do is the easier way to live, surely. But when has what’s easy ever been the answer? Last week, Piper’s MRI results felt like desperately-needed provisions being airdropped to our island of hope, making life possible for a while longer. The re-radiation she endured with a smile kept the tumor progression at bay, with subtle improvements over her last scan. Twelve months into DIPG, this is the elusive positive outcome families hope for. It suggests we’ll have a little more time. On average, a few months. With that time, we are deeply grateful to carry on as we have been: making every day one that matters and pressing onward in our search for beneficial treatments that might extend that timetable. With the guidance of leading doctors in this field, fellow DIPG families, and our oncology team at Children’s, we have drafted an application for compassionate use of ONC201, a new compound being used in a Phase 1 trail. ONC201 targets a specific histone mutation (K27M) that was detected in Piper’s tumor. 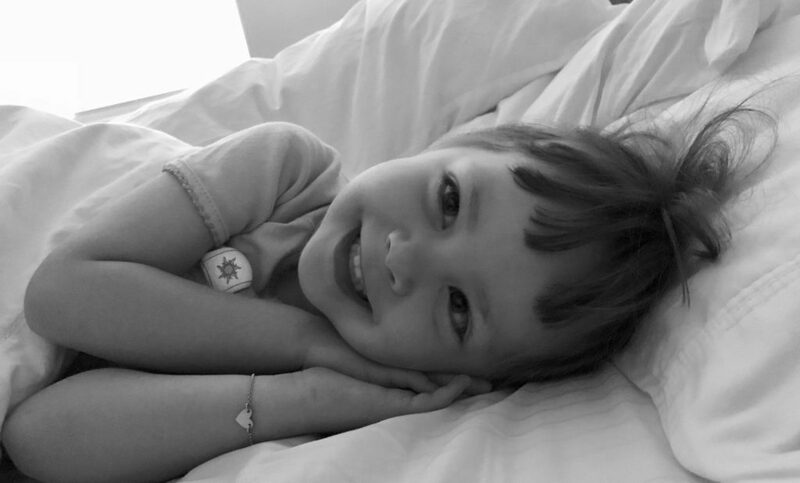 Rather than enroll her in the official study, which would require us to be treated outside of Colorado and stop the Avastin infusions that greatly help her, we feel pursuing off-trial use will allow Piper’s quality of life to come first. We are proud to say Piper’s Warriors contributed more than $8,500 to The Cure Starts Now through various fundraisers and events in May and June, so we can keep researching this disease. Our dream is that someday — maybe not after we go to sleep and wake up — but soon, children will be offered curative treatments for DIPG. Then families won’t have to live on an island of hope, while navigating health insurance and government bureaucracies, just to get access to medicines that may (or may not) extend their child’s life. Thank you to every person who has followed Piper’s story over the past year. Thank you to all who have prayed for us, who have supported our awareness efforts, and to all who have shown us love. We have not reached this milestone alone. We see you, and we want you to know you made a difference in our lives by simply caring. Here’s to many, many more tomorrows together.